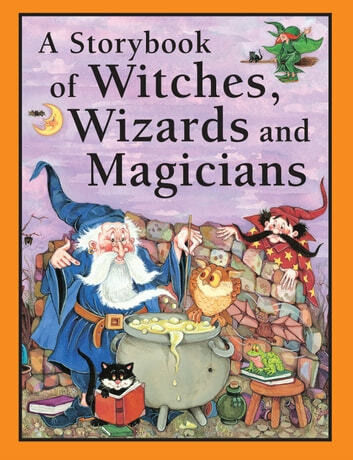 Beware: serious spells out of control... ten fantastic tales about the adventures and mishaps of witches, wizards and magicians. Do you know why you sometimes remember your dreams, and sometimes dont? Do you know why one day everything goes right, and another it doesnt? Do you know why leaves are green but people (almost) never are? Well, youll just have to read the ten magical stories to find out...Its hard to explain everything that we see around us, but maybe we live in a world of magic, where witches, wizards and magicians make extraordinary things happen. Meet witches who wander, wizards who sleep (for years), and a very mixed-up magician but dont try their spells at home, because even the professionals can get things horribly wrong! 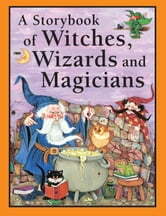 Lively drawings by leading childrens illustrator Ken Morton bring all the wild and wacky characters to life Which Witch? ; Wilma the Wandering Witch; Up, Up and Away! ; The Forgetful Wizard; Whats Wrong at Wizard School? ; The Tiny, Tiny Wizard; The Mixed-up Magician; Mr Magics Moving Day; A Hat Without a Rabbit; and Too Much Magic! This delightful book is perfect for reading aloud to young children or for confident readers to enjoy by themselves.